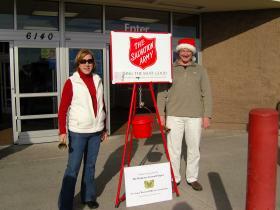 Salvation Army Kettle Bell Ringing 2010. Gary and Louise Braman. 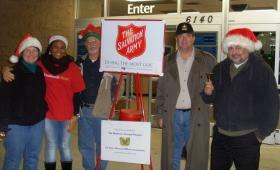 Salvation Army Kettle Bell Ringing 2010. 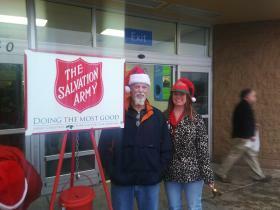 Joe Shiver and Lisa Jackman. 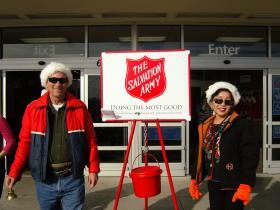 Salvation Army Kettle Bell Ringing 2010. Johnie and Kristen Keeter. 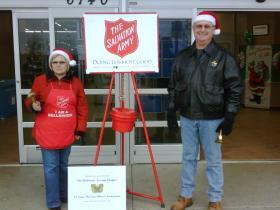 Salvation Army Kettle Bell Ringing 2010. 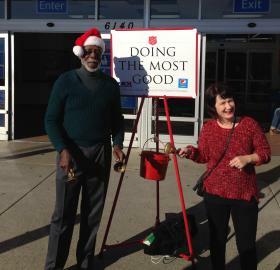 Johnnie and HiChing Walters. 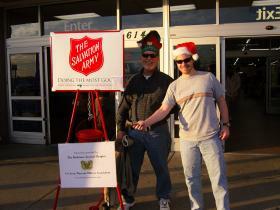 Salvation Army Kettle Bell Ringing 2010. Max and Alex Bennett. 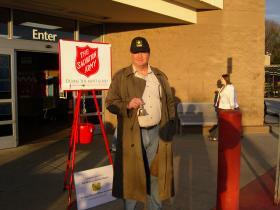 Salvation Army Kettle Bell Ringing 2010. 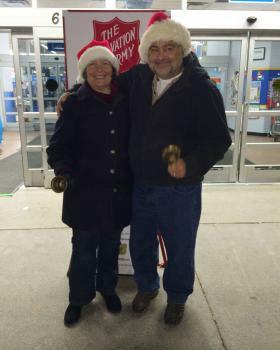 Mike and Denise Botkin. 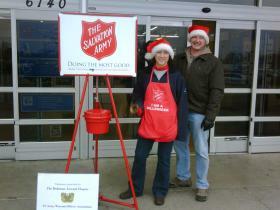 Salvation Army Kettle Bell Ringing 2011. 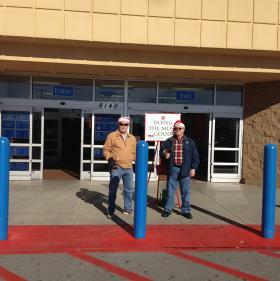 Johnie Keeter and Joe Shiver. 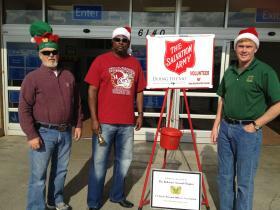 Salvation Army Kettle Bell Ringing 2011. 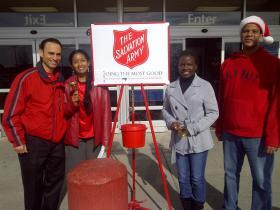 Harry Hobbs, Erika Hobbs, Clarissa Lewis, Tony Caudle. 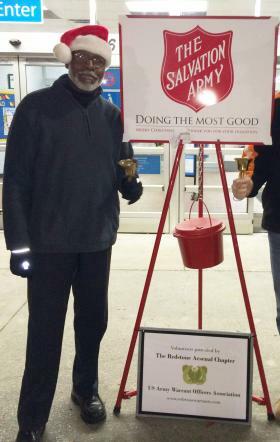 Salvation Army Kettle Bell Ringing 2011. 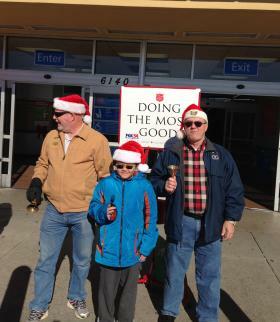 Louise Braman, Mike Weist and Gary Braman. 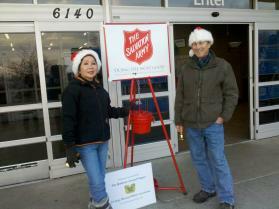 Salvation Army Kettle Bell Ringing 2011. 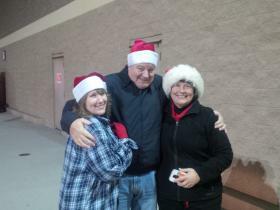 Denise & Mike Botkin. 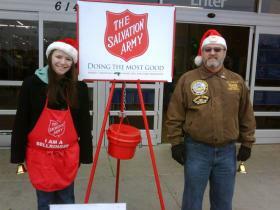 Salvation Army Kettle Bell Ringing 2011. Johnnie & HiChing Walters. 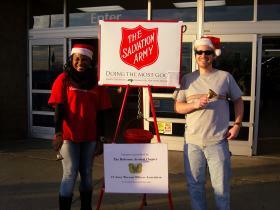 Salvation Army Kettle Bell Ringing 2011. Max Bennett. 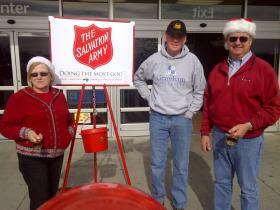 Salvation Army Kettle Bell Ringing 2011. Al & Gregory Reed. 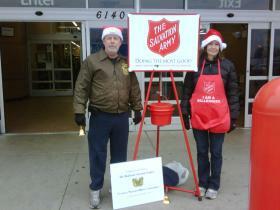 Salvation Army Kettle Bell Ringing 2011. 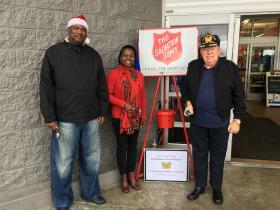 Joan Ikpelue & Gregory Reed. 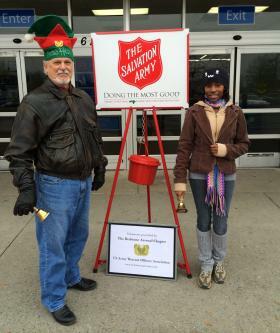 Salvation Army Kettle Bell Ringing 2011. 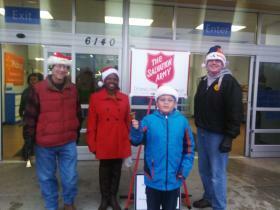 Diana Ruzicka, Joan Ikpelue, Al Reed, Max Bennett, Alan Ruzicka. 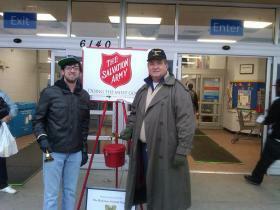 Salvation Army Kettle Bell Ringing 2012. 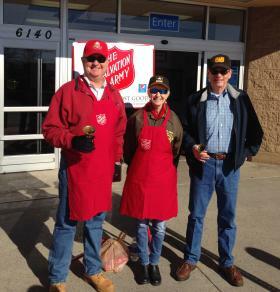 Joe Shiver, Johnie Keeter, Gary Mayers. 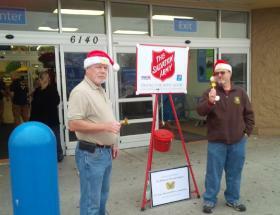 Salvation Army Kettle Bell Ringing 2012. 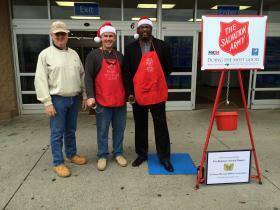 Al Reed, Marvin Booker, Mike Weist. 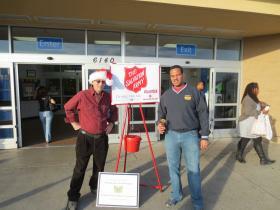 Salvation Army Kettle Bell Ringing 2012. 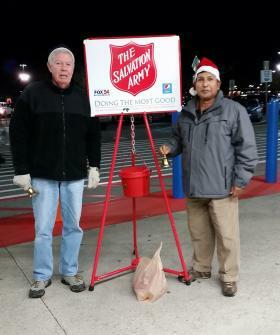 Johnnie Walters, Tony Caudle. 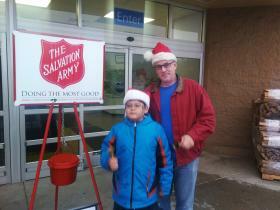 Salvation Army Kettle Bell Ringing 2013. Joe Shiver, Johnie Keeter. 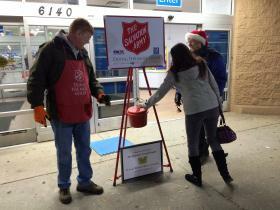 Salvation Army Kettle Bell Ringing 2013. Johnnie & Hi Ching Walters, Ed Banville. 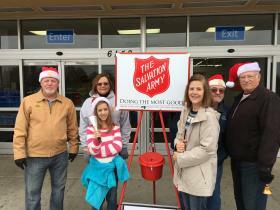 Salvation Army Kettle Bell Ringing 2013. 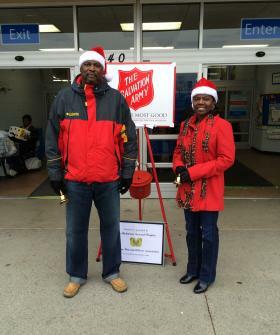 Marvin Booker, Clarissa Lewis. 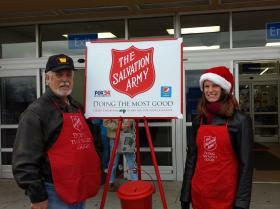 Salvation Army Kettle Bell Ringing 2013. 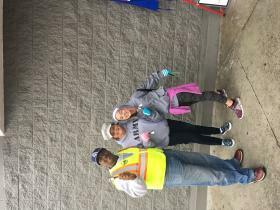 Al Reed, Sharice McCarter. 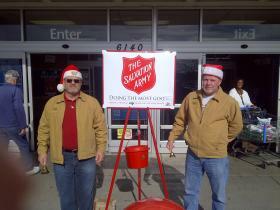 Salvation Army Kettle Bell Ringing 2013. 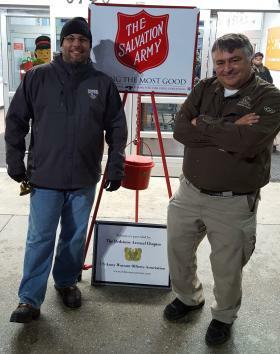 Mike Weist, Johnnie Walters. 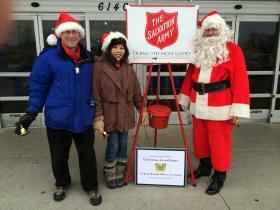 Salvation Army Kettle Bell Ringing 2013. 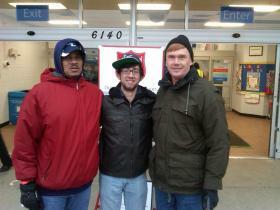 Eduardo Hope, Bryan Rogers. 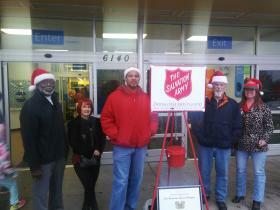 Salvation Army Kettle Bell Ringing 2013. Diana & Alan Ruzicka. 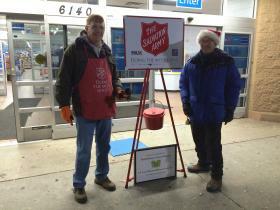 Salvation Army Kettle Bell Ringing 2013. Alex & Max Bennett. 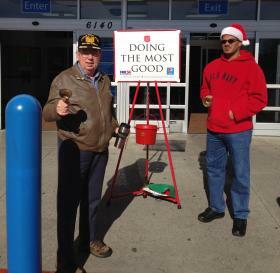 Salvation Army Kettle Bell Ringing 2013. 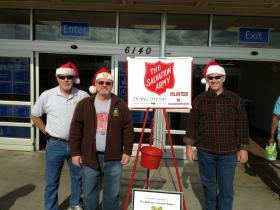 Tony Caudle, Alex Bennett, Mike Weist. 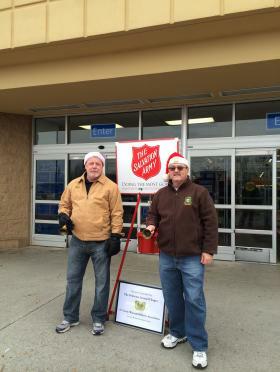 Salvation Army Kettle Bell Ringing 2014. 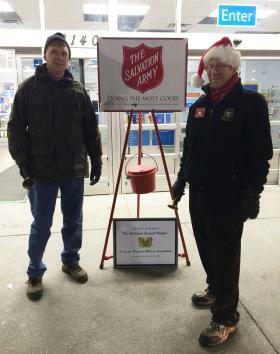 Joe Shiver, Alan Ruzicka. 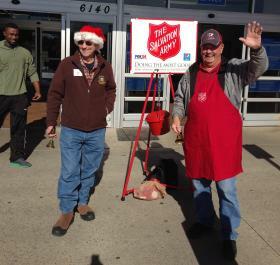 Salvation Army Kettle Bell Ringing 2014. Joe Shiver, Johnie Keeter. 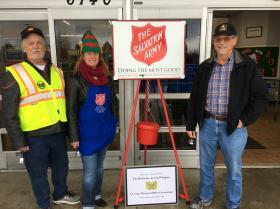 Salvation Army Kettle Bell Ringing 2014. 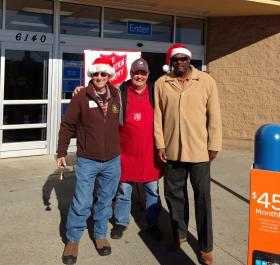 Gary Braman, Gary Mayers, Marvin Booker. 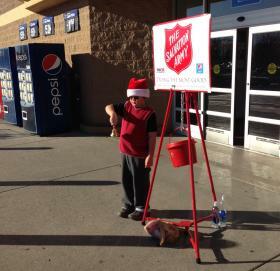 Salvation Army Kettle Bell Ringing 2014. 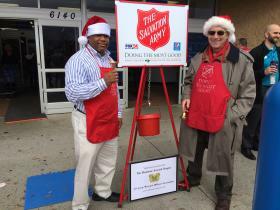 Timothy Robinson, Johnnie Walters. 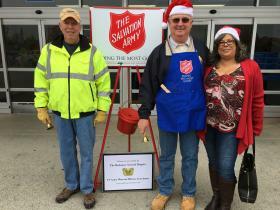 Salvation Army Kettle Bell Ringing 2014. Ed Banville, Clarissa Lewis, Max Bennett. 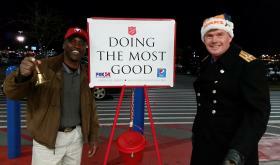 Salvation Army Kettle Bell Ringing 2014. Al Reed, Amy (Reed) Scott. 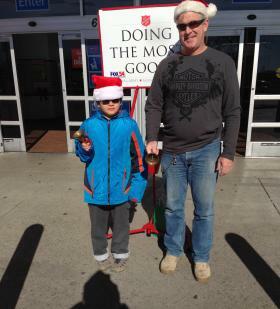 Salvation Army Kettle Bell Ringing 2014. Eduardo Hope. 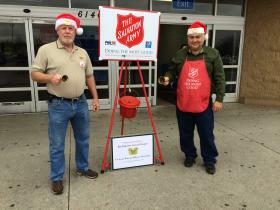 Salvation Army Kettle Bell Ringing 2014. Tony Caudle. 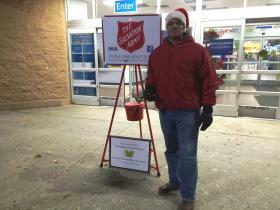 Salvation Army Kettle Bell Ringing 2014. 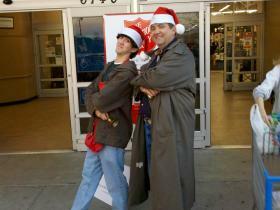 Mike Weist, Johnnie Walters. 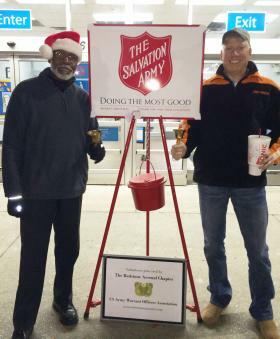 Salvation Army Kettle Bell Ringing 2014. 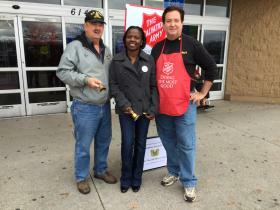 Mike Weist, Johnnie Walters, Patron.